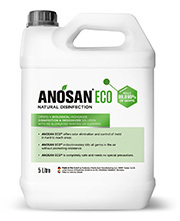 ANOSAN ECO® can be nebulized for small to medium sized spaces or used on a larger scale in ventilation mist, using a wide range of utilities offered in conjunction by ecabiotec®. This cold fogging has additional benefits of odor removal and dust suppression while disinfecting hard to reach areas; often being potential treatment gaps with traditional surface disinfection. 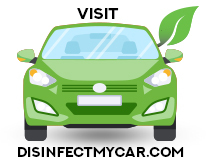 Typical applications include odor elimination and control of mold in homes, warehouses, and transport vehicles.